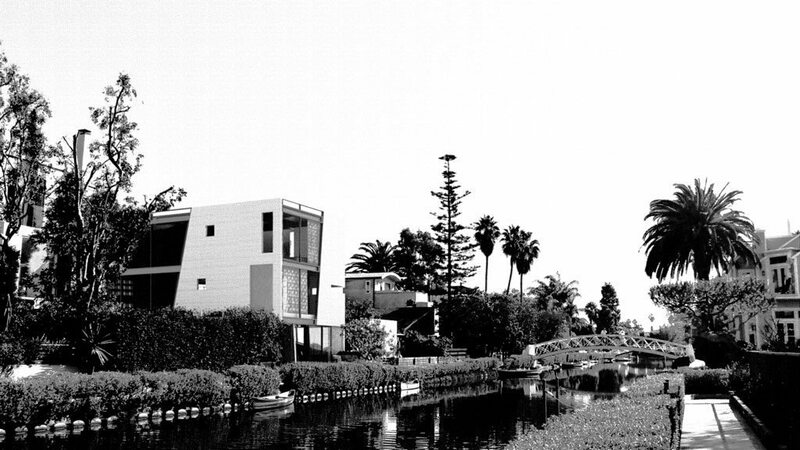 Situated in the Venice Canals, this steel house project aimed to create a dynamic relationship between interior living spaces and exterior “garden” spaces commonly integrated in the climate of southern California. 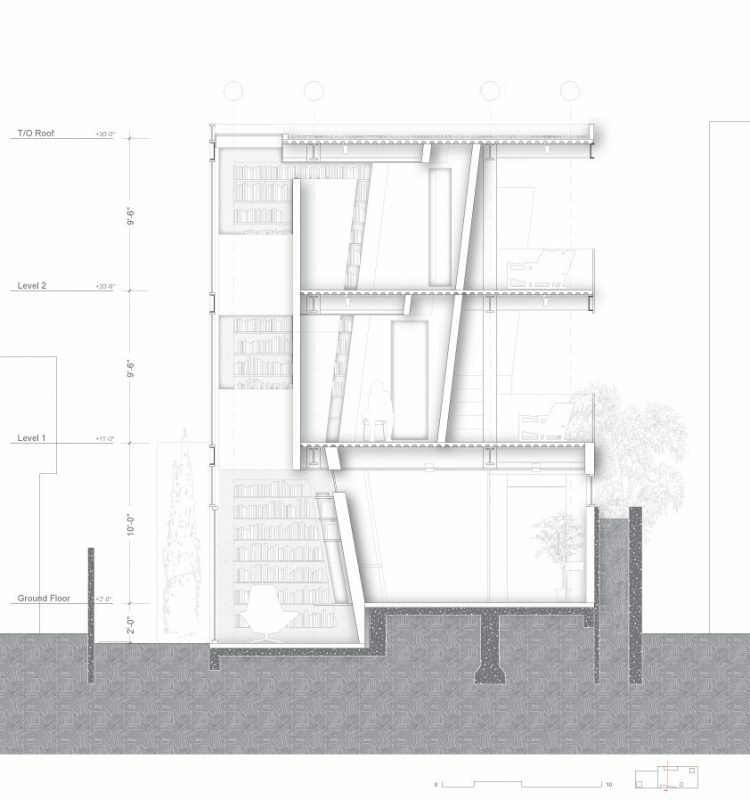 Exploring the atmospheres most suitable for reading and studying art or writing, the organization of the house revolves around a three story book shelve meant to create moments of privacy with a connection to the outdoors. 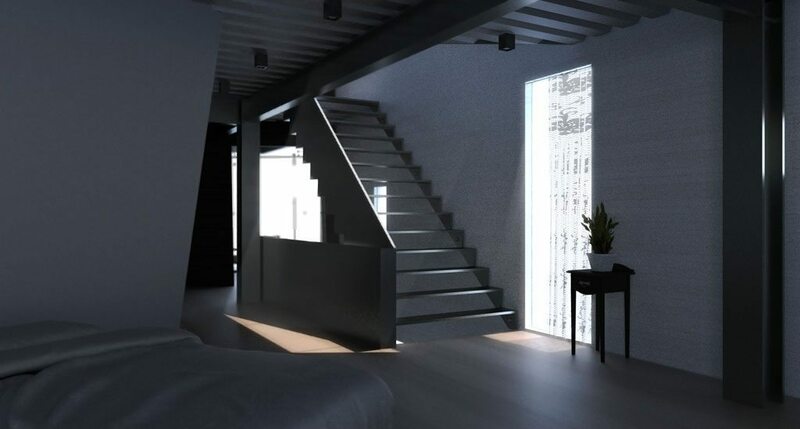 The interior partitioning of walls create smaller spaces for individual privacy where the client can escape to study his writing or simply reflect. 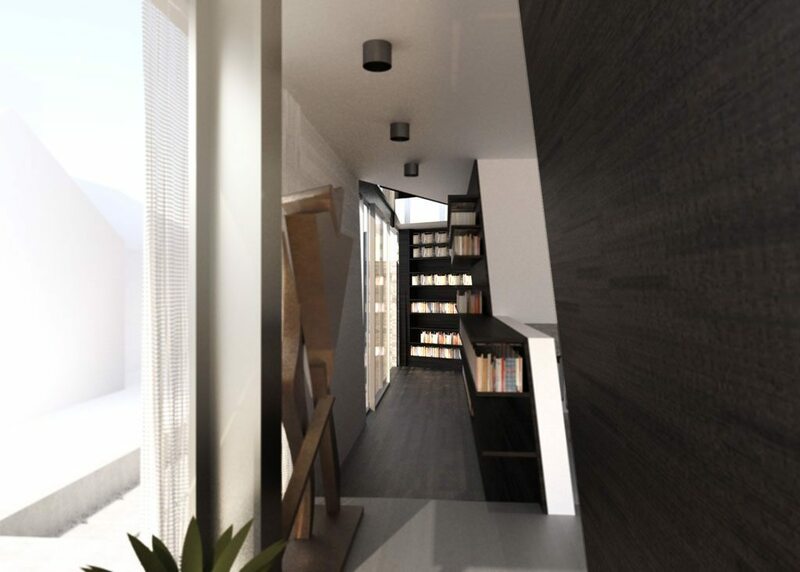 The triple height library allows for dramatic light qualities in the upstairs bedrooms and hallways while connecting the houses upper porches to the clients reading resources. 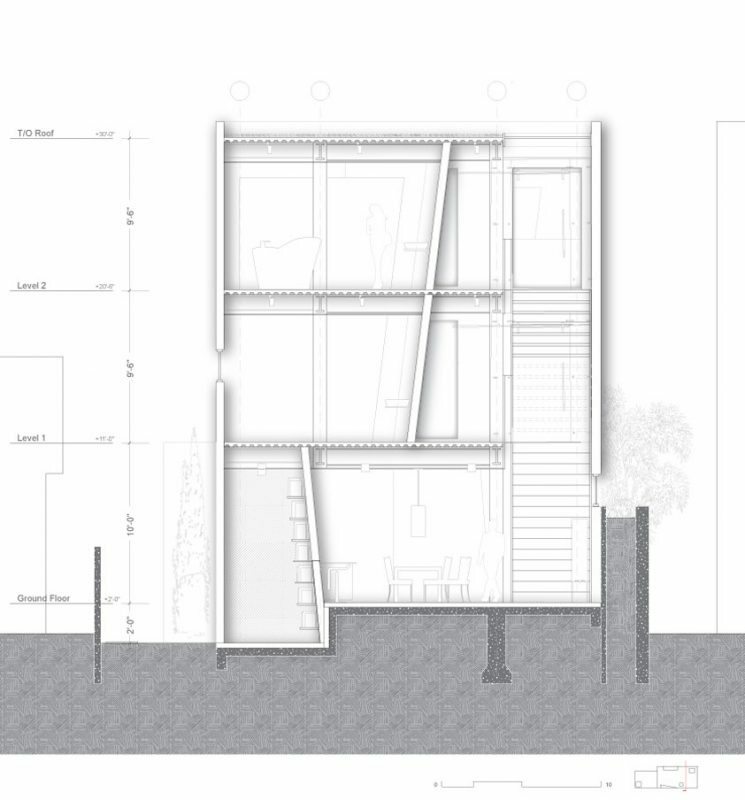 In this manner, the relationship of exterior to interior becomes fluid and intentional, rather than unorganized. 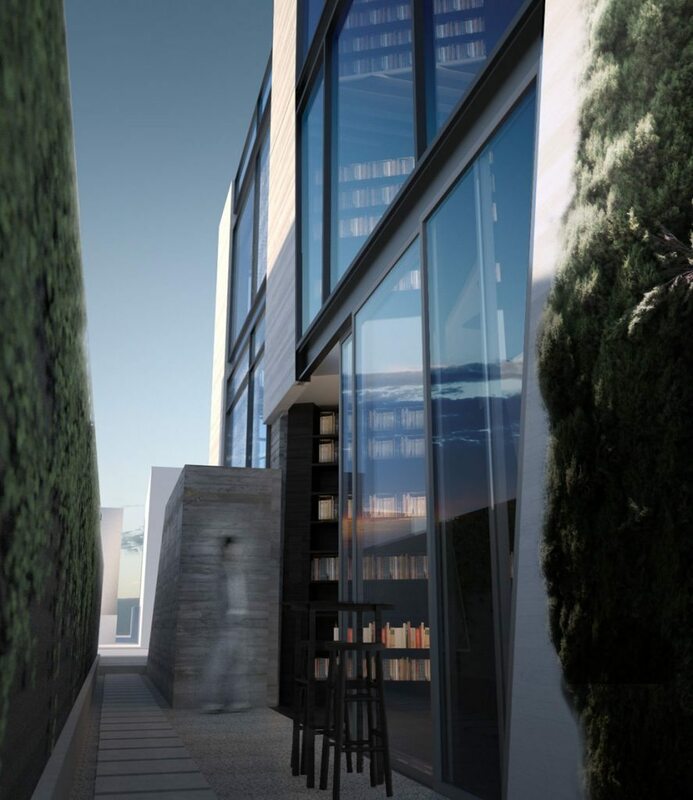 Access to a private patio is provided as well as views onto the canal. Northwestern ambient light fills the upper cavity of the triple height providing a calm atmosphere for reading. 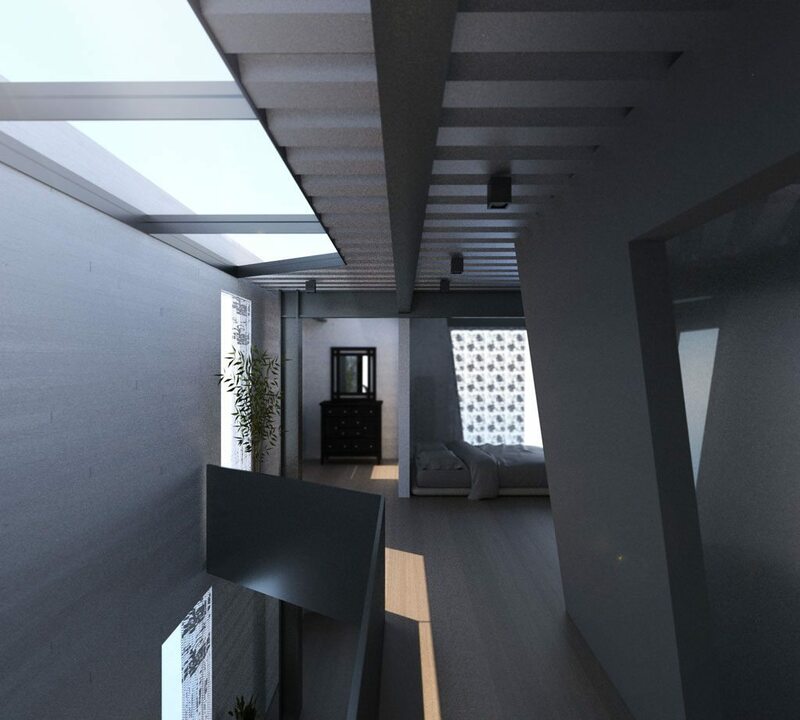 On the opposite side of the house, the stairwell is opened by skylights allowing natural light to filter down into the center of the house. Perforations in the stone facade provide views onto the canals and create distinct patterns of light on the floor in circulation areas. 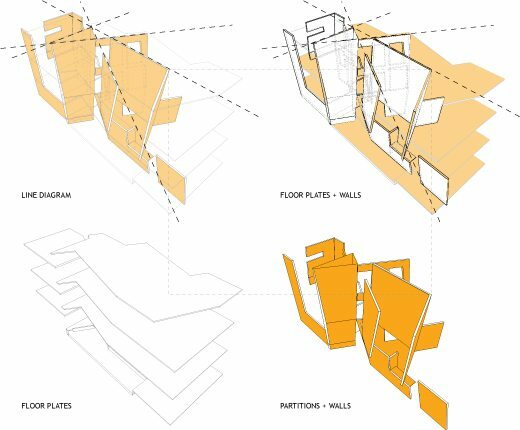 The separation of rooms is enhanced further, through the use of slanted walls which create moments of repose and openness, and concurrently, moments of tightness and focus. These experiential qualities help propel the location for reading and having privacy as opposed to areas for collective family activities. 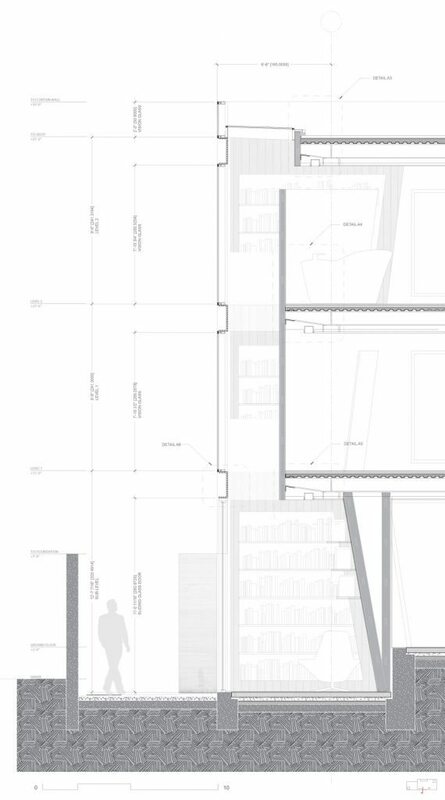 The planametric organization and slanting walls create a distinct split between reading spaces and living spaces; indoor spaces and outdoor spaces. 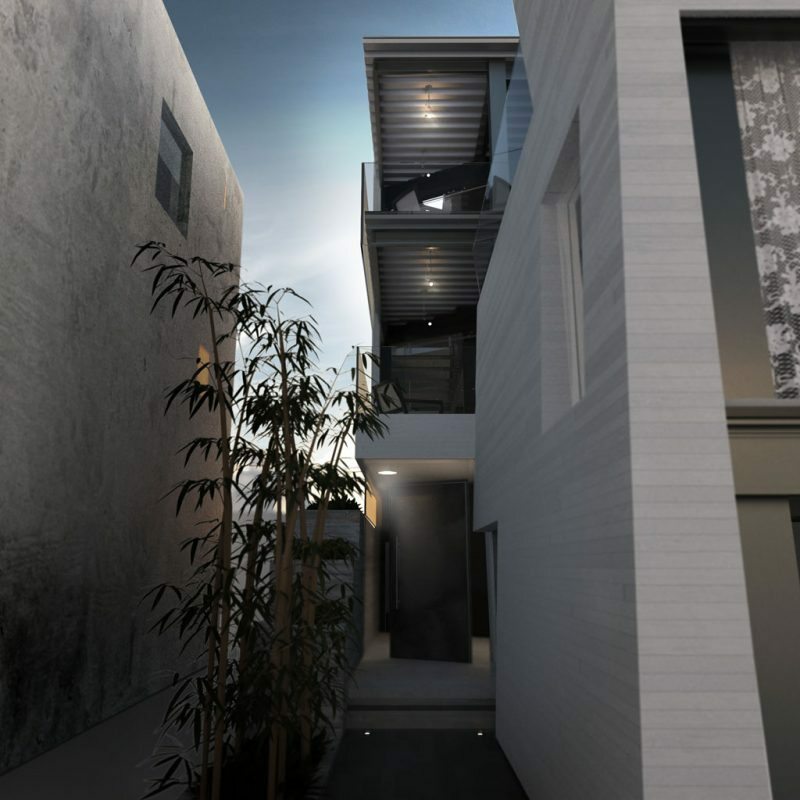 A split level guest room is located on the back of the house to provide extra room for guests or separate tenants.